I value your privacy and will keep all information private. All Credit Card, Mailing Information and Email Addresses will kept private and will not be shared with anyone! PLEASE NOTE!!!! Any charts, leaflets, books, magazines, printed materials, clearanced items, custom framing, open kits and cut fabrics are not returnable due to Copyright Laws!!! Please call or e-mail me BEFORE sending in your return so that I can make sure it is an item that can be returned. Not all items can be returned due to copyright laws. If your return has been authorized, please include a copy of your sales receipt with your order as well as your contact information so that I may properly refund your purchase. Make sure you check the date on your receipt as returns are only accept if made within 30 days of purchase. Any claims after that 30 days will not be considered. Any obviously defective items will be refunded their purchase price or replaced. Please note that if I receive your autorized return and the package is damaged, smells like smoke, or is covered in pet hair, your refund will be denied as I can not re-sell it. 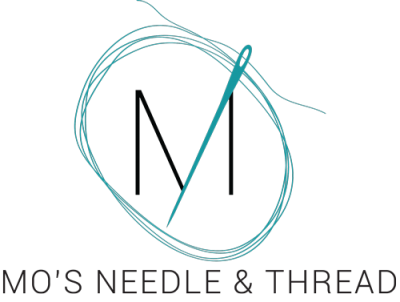 If there was an error made on MO's Needle & Thread's part, I will reimburse your return shipping via US Mail. If you are choosing to return an item because you've changed your mind, shipping will be at your expense.